As a manufacturer of grinding equipment for over 50 years, Abwood Machine Tools has a significant catalogue of standard designs and parts which can often be utilised to produce one-off Machine Tools at a fraction of the cost of modifying a standard machine tool. With our in house research and development and design teams we have the ability to turn concept into reality usually within a 12 month period. Our experience is not just limited to grinding machines, and coupled with our extensive knowledge of automation we are able to provide turnkey solutions for non-standard processes. 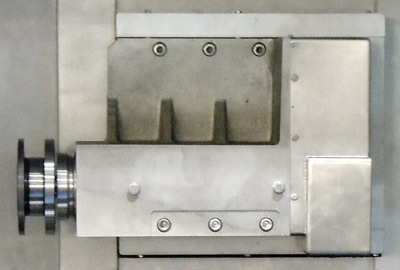 If you would like to discuss bespoke machine tool design with us, please use our contact form.